Are you looking for relief from your creditors? Considering filing a consumer proposal or bankruptcy in Sarnia? Hoyes, Michalos & Associates Licensed Insolvency Trustees can help you stop collection calls and wage garnishments, reduce your monthly debt payments and begin the road to living free from debt in Sarnia. 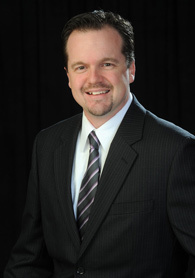 Our Sarnia office is led by Licensed Insolvency Trustee, Joel Sandwith. Joel will meet with you personally and listen to your specific situation and needs. He can help you explore all your options and work out a solution tailored to you. Joel can help you decide if personal bankruptcy is the right choice or if another debt relief option, like a consumer proposal, would be a better alternative. Federally Licensed Insolvency Trustees and Consumer Proposal Administrators in Sarnia.